While markets, methodologies and technology may change, the need to understand the matematics of finance does not. 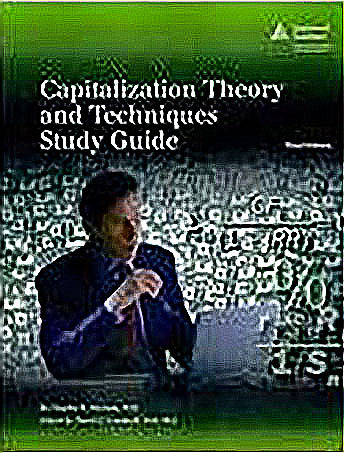 Capitalization Theory and Techniques Study Guide, third edition, provides practitioners and students of the income capitalization approach to value with an essential reference tool for their appraisal offices and classrooms. This new take on a classic appraisal workbook offers: 1. In-depth coverage of the imcome capitalization approach, including a historical perspective and practical instructions for applying capitalization techniques, 2. Key terms, symbols, formulas, financial tables and calculator keystrokes as well as references to important appraisal recources, 3. Fifteen lessons with hands-on exercies, more than 50 practice problems and two case studies.